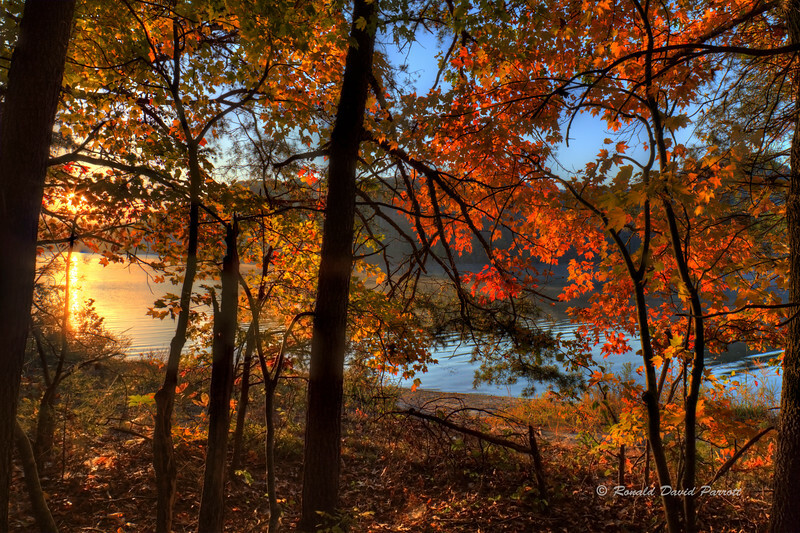 Owsley Fork Reservoir, 10/23/2015, 8:22 AM (1 of 4) - The rising sun is barely visible through the trees. It is low in the sky, above the bright golden reflection on the lake. I love the back lighting options available at this time of day, especially during the fall season.